Discussion in '3F VAPE' started by Gina3FVAPE, Apr 16, 2019. 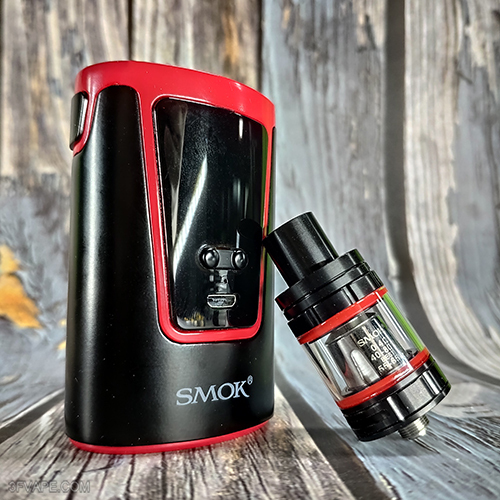 SMOKTech SMOK G150 Kit. SMOK G150 Mod and Spirals Plus tank is a good match for new experience. The G150 kit features with streamline arc design and innovative design. The 150W output power provides simplify operation and bottom adjustable airflow Spirals Plus tank offers good taste. All is only for better taste. Innovation keeps changing the vaping experience. This product is EU Edition. This item also has other color to choose. 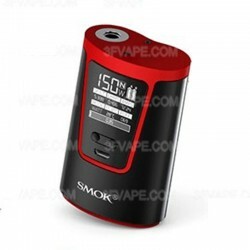 Today let's check the Real Scene Photo of the SMOKTech SMOK G150 Kit - Black + Red. Vaping data is easy-to-read by the screen that takes account of visual effect and high grade appearance. Maximum output power can be up to 150W, and it supports VW / TC mode. 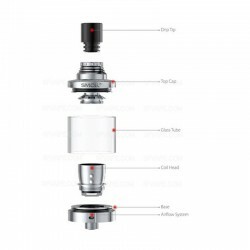 Moreover, it's 510 connector is compatible with various tanks, so as to different flavors and clouds are available. There are many air holes at the bottom of the box, which are not only for decorations, but also for venting gases to prevent the box from overheating, and extend the operation life. G150 provides multiple types of protections to safe guard against potential risk.